Marble Cheesecake made from dark & white chocolate. Our Marble Cheesecake is simply heavenly Very special for your love one birthday. 2 pounds, Serving 6-8 person. A special recipe from Cake 2 Thailand, very rich in cheese and topped with delicious blueberry puree and one real cheese. 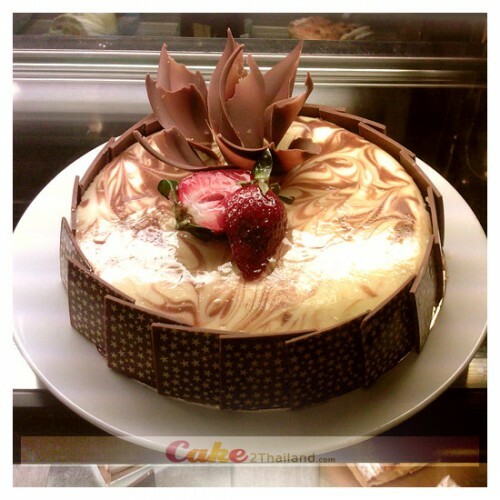 - Marble Cheesecake is Only delivery in Bangkok.